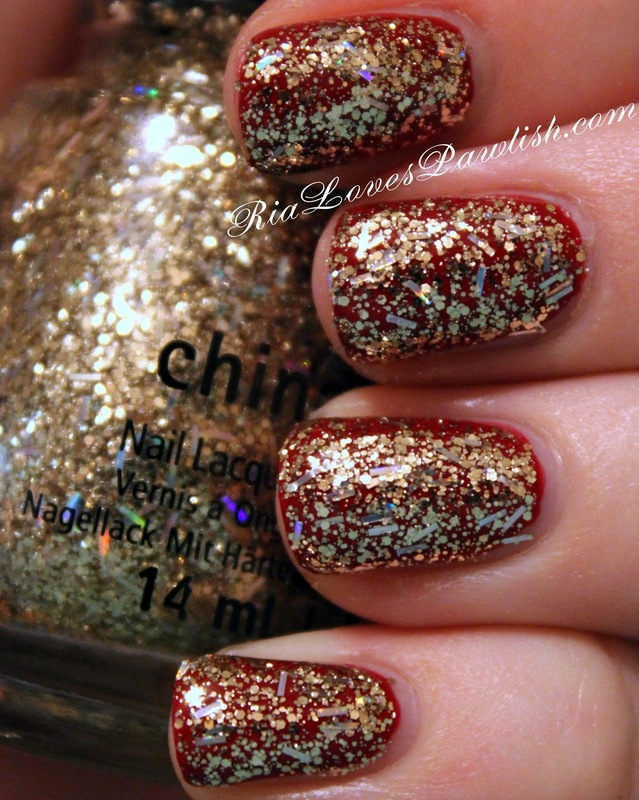 we have the final China Glaze Twinkle polish tonight... De-Light! (it's a press sample, kindly provided to me for review). it's a glitter with different sized gold hex pieces and holographic silver bar glitter, all suspended in a clear base. this one makes a perfect topper... i think you *might* be able to get it opaque on its own, but i really dig it like this. one coat was all i need to get nice coverage over the nail, although i had to do just a bit of placing to make sure the nails stayed pretty even. i used it over China Glaze Tip Your Hat (press sample)... using it over a red like that just screams 'perfect for Christmas parties!!' to me :) definitely finish off with topcoat to seal in the look! one coat De-Light over China Glaze Tip Your Hat, finished off with one coat Salon Perfect Crystal Clear Top Coat. (all are press samples). this lower light photo gives a better idea what the gold pieces look like! 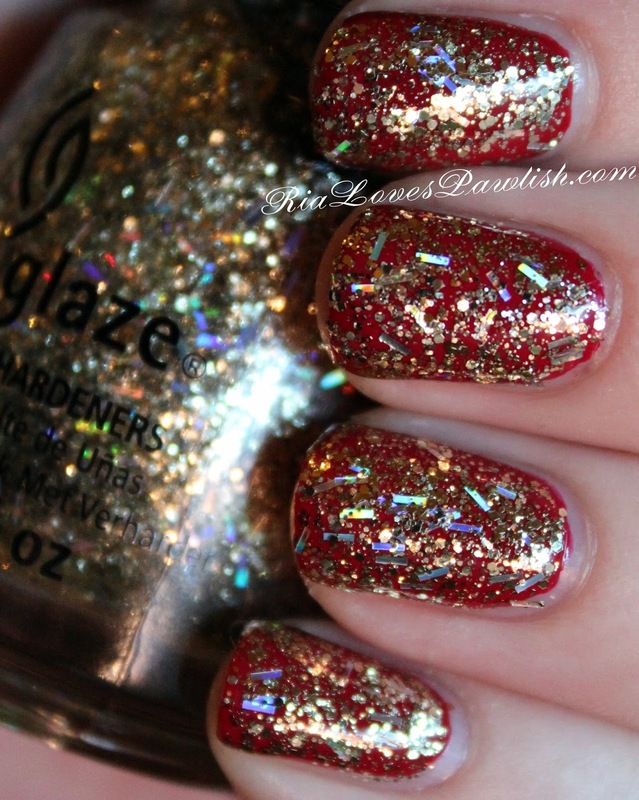 i hope you've all enjoyed this look at the China Glaze Twinkle collection... i've really enjoyed reviewing it! i'm so thankful to have had the opportunity to review the whole collection, thanks China Glaze! !